If you have been keeping up with our blog you've seen my progress in writing scientific explanations. This is post #3, be sure to check out post 1 and post 2, before reading below. The reasoning section on the scientific explanation is my favorite section. 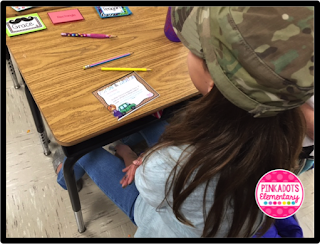 It allows me to see if the students can make sense of the information presented or not. One way that we have had success discussing principles is by working together in collaborative groups to illustrate the principles. One of my PLC members actually came up with this idea on a whim and it was brilliant! We gave each group a small white board and a dry erase marker. As we referred to our “Scientific Principles” anchor chart, I challenged each group to come up with an illustration displaying the principle. The creativity and collaboration was amazing! I set the timer for three minutes and was completely impressed with the results. (I wish I took pictures, but I was living in the moment and completely forgot!) After the timer went off, each group showed off their illustration and a member presented and explained to the class. 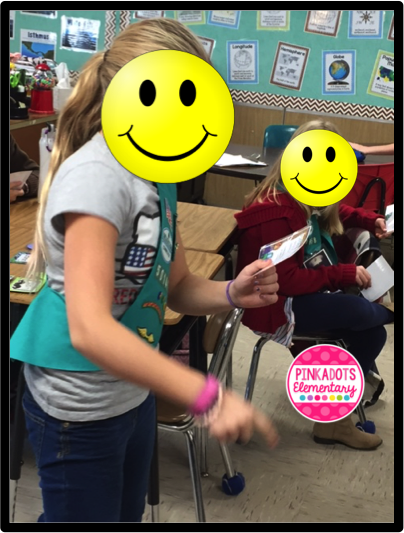 There were definitely some “ah hah” moments created during this quick lesson. Another activity that we completed that worked out great was using The Owl Teacher’s Causation Cards for Force and Motion. These fit into my scientific principle section perfectly and the students had a blast while working. These task cards are almost like playing an “I have, who has” activity, but combined with a drama, humor, and learning. They discuss scientific ideas, definitions, give examples, and are full of fun. 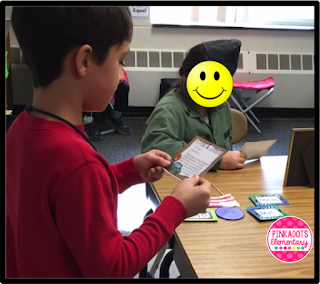 My fourth graders enjoyed this activity so much, we ended up switching cards and repeating the activity at least three times per class! section in the scientific explanation can be pretty “gray” because sometimes students tend to add fluff or overlap the information they already stated in the evidence section. Sometimes my students feel so relieved that they are making sense of the investigation, they tend to write and write. I keep the space small on our worksheet to keep their answers concise. If you look at the picture of student work, you will see the student referred to our anchor chart and copied a principle down. I have the students start with a sentence starter: “This happened because in science, _______” and then state the principle. Sometimes students go a step further and explain more information or make a connection to the experiment. 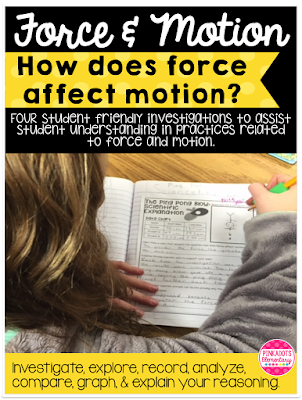 For example, on the reasoning section for the Box Push investigation, a student wrote, “This happened because in science, the greater the force, the greater the change in motion. The more hands that created force during the investigation, the father the box went in the given amount of time." I thought that was a great response and really showed student understanding by actually connecting the principle chosen to the investigation. Sound interesting? Check out all of this and MORE in my new product! Thanks for stopping by! Come back tomorrow to see how all three pieces piece together into a complete scientific explanation!